To celebrate the launch of NLP Sport I am offering, as it’s Christmas, my most recent book, ‘Secrets of the NLP Masters’, at the reduced price of £7.50. It will have appeal across all age groups and types of people because it covers the application of NLP techniques in the areas of sport, work, home and health. I think that’s everything covered isn’t it? The book is divided into 50 chapters each covering a specific NLP concept, for example; question limiting beliefs, reframe your goal, conquer your fears. Each chapter starts with 5 inspirational quotes relevant to that concept from one of the NLP Masters such as Sue Knight, Richard Bandler, Virginia Satir, Milton Erickson and some people you wouldn’t normally associate with NLP but who I thought had something relevant to say on the subject. I then go on to talk about the concept in some detail so that if you are not already familiar with NLP you get a good understanding of it. I have had good reviews on Amazon for the book and my writing style so I hope you find it readable. I then go on to give you three examples of how to use the technique or concept in different areas of your life so there are examples from the world of sport, family, work , health and relationships. I usually write about NLP in the family context but in this book I have spread my net much wider to encompass all aspects of life. As a good sportswoman, I was keen to qualify as an NLP Sports Practitioner which I did with Jeremy Lazarus a few years ago but because of all my activities as NLP Kids, I wasn’t able to spend any energy on the sports side of NLP other than using it myself in my tennis and skiing. The mind and body are inextricably linked and how you think about it will affect your performance. NLP helps you quieten that unhelpful inner voice and enables you to replace limiting beliefs with resourceful ones. It helps you focus and bring out the best in yourself. I can help you improve your performance in any sport by introducing you to ways to manage those negative thought patterns that negatively affect the results you get in your sport. This new website enables me to launch myself as a Sports Coach and I invite you to buy the book and read how to use NLP yourself in sport as well as other areas. If you feel I can help improve your performance then please contact me. 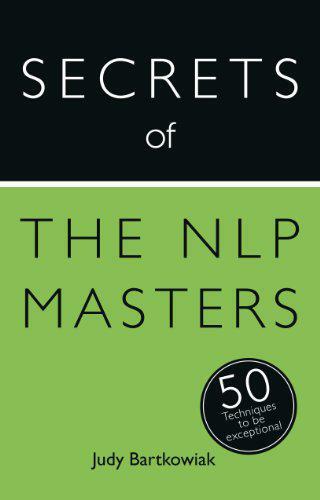 I am the author of a number of NLP books and workbooks which you can find here. The Engaging NLP series of workbooks includes books for parents, children, teens, tweens, teachers, work, back to work, new mums, weight loss and sport. I am in the process of writing NLP for Sport and this will be published Spring 2016. Here’s a video of me talking about the book. You can buy the book here for £7.50 plus £2 UK postage.